Barcelona is dazzling, constantly evolving, with so much to see and do that it's easy to be bedazzled. Day 1. Start at the Plaça de Catalunya and make the obligatory stroll down the Ramblas, taking in the great carnival of people strolling along with you from around the world. Stop in the city's glorious temple of food, La Boquéria market, which may get your mouth watering for lunch—perhaps in Plaça Reial, the city's drawing room. From Plaça Reial, have a wander in the Barri Gòtic, Barcelona's medieval heart: have a look at the Palau de la Generalitat in Plaça Sant Jaume, the civic centre of Barcelona and follow beautiful Carrer del Bisbe to the Cathedral. There should be enough time to visit the Picasso Museum and take in the transcendent Santa Maria del Mar. Celebrate your first day with a glass of cava and some seafood in Barceloneta. Day 2: After medieval Barcelona, it's time for Gaudí and the Modernistas. Once again start in Plaça de Catalunya and walk up the Passeig de Gràcia to see the ‘Block of Discord’ by Gaudí, Domènech i Montaner and Puig i Caldifach, and Gaudí’s extraordinary La Pedrera, before taking the metro over to the extraordinary Sagrada Familía and Domènech i Muntaner’s magical Hospital de Santa Creu i Sant Pau. 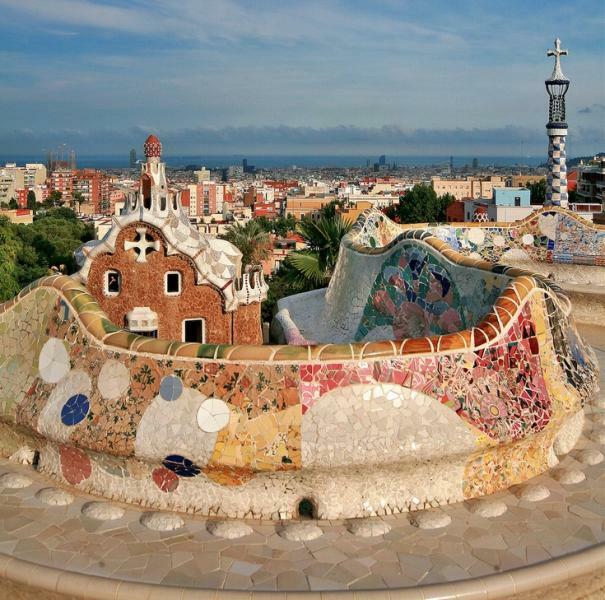 After a late lunch, head up to the magical Park Güell and in the evening attend a concert at the Palau de la Música Catalana. Day 3: Pick up picnic supplies and have a wander around the Port Vell before taking the hair-raising aerial Port Cable Car to Montjuïc. Once there, visit the delightful Fundació Miró, the Olympic Ring and the superb art collections (notably the unique Romanesque murals that inspired Miró) at the Museu Nacional de Art de Catalunya. Have a look at the Mies Van der Rohe Pavillion and as it gets dark, watch the Font Mágica spring into action. For a grand finale (if you've booked well in advance), dine at one the city's great Michelin-starred restaurants.